An MBA student in one of my classes reacted to my lecture on how forecasts are almost always wrong by saying that you can have the most rigorous software to forecast peak loads and schedule people, but you need to temper the computer decisions with common sense. What a wonderful statement, and I could not agree more. Having been in the corporate world for several decades and running my own business helping companies for the past 15 years, I have seen or made my share of boneheaded decisions and policies. Workers could be allowed access to the cabinet so any time a manager proposed a new policy or decision that was counter to what the organization was really trying to accomplish, the workers could get the bottle of pills and put it on the desk of the executive. Of course, in most cultures, that act of honesty would be followed by all kinds of retribution against the employee. You would also see a secret camera installed over the medicine cabinet so in the future there would be evidence in order to punish the correct person. We really need a mechanism for making sure common sense solutions are also common practice. There is such a remedy if only leaders would invoke it. The antidote to blundering into decisions that defy common sense is to build an environment of trust. If people know they will not be punished for voicing a concern, and if leaders have the foresight to consider and discuss the impact of possible decisions before blurting out stupid orders, then many of the errant decisions would be avoided, and the “Common Sense Pills” would grow old in the medicine cabinet. What if you were a leader and wanted to increase trust so people would tell you when you were about to do something stupid? The answer is to reinforce people when they tell you something you really did not want to hear. I call this leadership behavior “reinforcing candor,” and I believe it is the quickest route to building real trust in any organization. Once you start making people feel glad when they point out a potential gaff, they will do more of it, which allows more protection in the future. The ability to reinforce candor also reduces the risk of ethical problems in the organization. Ethical dilemmas often start with innocent and legal decisions that become accepted behavior. Then, if we can shade the numbers this way today, we can add a little more coloring tomorrow, and soon we are on the slippery slope that leads to obvious illegal or bone-headed activities. Leaders often miss the slide of behavior into questionable areas as if they are wearing dark glasses. If you are a leader who makes people feel glad when they point out a potential problem, you will get the message soon enough that you are about to cross the ethical line. That can not only keep you out of trouble; it might even keep you out of jail! 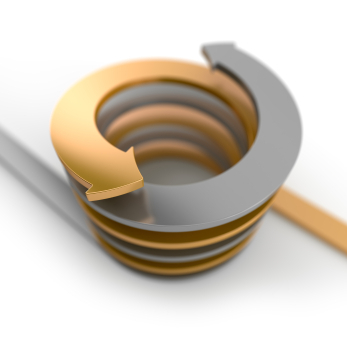 Another way to reduce common sense errors is to have a well documented process. The organization’s procedures need to be well designed and include a review or audit process with benchmarks and check points that will expose problems. With that level of rigor, a proposed deviation from the procedures would stick out like a sore thumb. It also helps if there are specific measures in place that everybody knows. If we get off the beam, the measures, if they are well constructed, will give us leading indicators of trouble to come. If you are an employee and see something wrong, you can use these measures or audits to approach leaders in an objective and non-threatening way. Most leaders punish people who challenge an action, and that behavior lowers trust. That is when employees need to start reaching for the Common Sense Pills again. Instead, foster an open environment where your employees are allies who help you run an excellent organization. It is pretty obvious that trust and ethics are related, but you may not have thought about some of the nuances in a conscious way. This article shines a light on the relationship between ethics and trust and offers an example of how a community can change conditions for the better. I cannot think of a single ethical scandal that did not result in a loss of trust in some area. In fact, the loss of trust may be one way to identify or define an ethical dilemma. If we are not sure what we are contemplating is right, and trust is taking a hit, chances are it is an ethical problem. The reverse is not true, however. There can be situations which result in lower trust that do not involve ethics at all. Trust can be compromised by minute transactions like the specific wording of an e-mail, or some rolling of the eyes in a meeting. We all are aware that when trust is damaged, it takes a lot of effort to repair it. I have described a process to regain lost trust in another article. The good news is that with the right attitude and approach, it is possible to repair trust to a higher state than before it was compromised. The challenge with ethics is that the existence of an ethical problem is situational, and the severity will vary depending on the person involved. For example, we would all agree that stealing is unethical, but I can come up with a scenario where stealing might be a perfectly ethical thing to do. Suppose you are a trash collector. In a recycle bin there are some books that you might like to read. The books do not belong to you, but they have been discarded, so you feel it is appropriate to salvage the books for your reading pleasure. I suspect most, but not all, readers would agree that it is ethical to take the books. Likewise, killing another person is not an ethical thing to do, yet we would all agree there are circumstances where killing another person is the correct thing. In a time of war, killing the enemy is often the objective of a mission. In addition if a thief is about to kill you, you have a right to kill the robber, if necessary, to save yourself. In extreme cases, it is easy to see how some things are unethical. For example, what Bernie Madoff did to his investors was clearly unethical, yet like many ethical scandals, the pathway to egregious actions may have started out as perfectly legal interpretations of existing rules. He then got deeper and deeper into illegal and unethical actions. Sometimes people get on a slippery slope because if they can do X today, then doing X+1 tomorrow seems like not a far reach. It does not take long before they are doing things that are clearly not appropriate. They may not even be aware of the erosion of ethical standards that is going on, so if another individual has the courage to speak up about it, the problem can be stopped before more damage is done. That is why trust is such an important way to prevent unethical actions. When there is high trust, there is usually low fear about telling the truth to superiors. In a high trust environment, the whistle blower knows that by pointing out an ethical dilemma, he is really doing the organization a favor and will be rewarded rather than punished. What would it look like if a whole community were to espouse greater trust and ethics? In Rochester, New York, there is an organization called “RABEF” – Rochester Area Business Ethics Foundation. The organization has been in existence for 13 years, and I am in my third year of serving on the Board of Directors. Our vision is to have Rochester be the “Gold Standard” in terms of promoting ethical business cultures. Each year we have an award ceremony (modeled after the Academy Awards – complete with red carpet) to create greater community emphasis on ethical corporate behaviors by celebrating those groups that are doing it right. During the year, we encourage local organizations to submit an application for the award. The judging process is quite rigorous and includes interviews and site visits along with a written application. Finalists are chosen, and a few groups are selected as recipients of the awards each year. The year culminates with a ceremony in September when a few companies receive the “ETHIE” Award. Each company has a professionally-made video of their operation and receives a trophy, similar to the Oscar. It is a very big deal here in Rochester, and dozens of organizations have received the award and have become part of our Honor Roll. RABEF is a very active group, and we try to spread the word by celebrating organizations that are doing great work in the area of ethics. When I speak about ethics in other areas, I add some information about our program and how it really helps keep ethics front and center in terms of organizational behaviors. The RABEF organization is fulfilling its mission by encouraging organizations in the area to focus consciously on their program to become more ethical. Even organizations that are not selected for an ETHIE Award gain tremendously from the effort to understand and enhance their ethical cultures. Because several companies are honored each year, the entire community is more aware of ethics and the benefits of operating with higher trust. Think of trust and ethics as separate concepts that are synergistic and supportive. Encourage the leaders of your community to recognize and celebrate organizations that consistently do the right thing. You will be helping your organization and your community when you do it. Just as a golf ball is completely different on the inside and the outside, so trust built by leaders has important characteristics inside that may not be obvious from the outside. For any leader, the aspect of trust in the organization is a foundation for performance. Without trust, groups might look the same on the outside, just as a golf ball looks shiny and dimpled on the outside, but it is the compressed inner layers that give power and flight characteristics to the ball. Actually, golf balls come in numerous designs from one piece (practice) balls to five piece balls: each design having different characteristics. For example, the two-piece ball is designed for low spin to allow excellent stoppage on the green and to minimize the magnitude of any slice or hook. Trust also comes in a variety of designs, and you cannot tell how well established the trust is by just looking at the outside. The striking difference between high trust groups and low trust groups can be seen on many levels. Let me name a few ways trust impacts how groups operate. One good barometer of trust is to monitor what people are saying to each other in normal conversation. If you just walk around your place of work for a day and listen to how people talk, you will get a quick view of the level of trust. Mark an X on your score card every time you hear a conversation about pursuing the goals or vision of the group. Mark an O on the card every time you hear a conversation that is basically badmouthing other individuals within the group. If, at the end of the round, you have more X’s than O’s, then you are likely witnessing a high trust group. If it is the other way around, then trust is low, just like cheap “driving range” golf balls. All groups have challenges from time to time. Groups with low trust get stopped in their tracks because the interpersonal problems make it very difficult to even figure out what is wrong. It is as if a golfer accidentally used the wrong style of golf ball off the Tee. The error would be evident from the results. Groups with high trust can resolve challenges quickly and easily because they communicate honestly. They deal with the root cause of problems rather than getting hung up on symptoms. They also frequently come up with more creative solutions to problems because they are free to explore out-of-the box ideas. Teams at work have a style of operating that works to produce the highest level of trust. Golfers find a type of ball they are most comfortable with, based on their swing and strength. In high trust environments, the leaders are vitally interested in developing all employees to be the best they can be. Investment in people is a hallmark of high trust groups. In low trust organizations, you can find leaders who are less interested in training people for a few different reasons: 1) They are so busy trying to survive that they have no time to devote to training, 2) Leaders are afraid if people are properly trained the leader might be overtaken, or 3) There is so much apathy that nobody really feels like development would be helpful. Not investing in people would be the equivalent of using a cut ball where the surlyn cover has been damaged to the extent that the core is compromised. The study of ethics is very interesting because most leaders are convinced they are ethical, yet many of them find ways to shade things somehow when nobody is looking. We see this all the time in scandals that seem to come up like crocuses in spring. The important part of being ethical is not what you do when people will see it but what you do when nobody would know if you were cheating. Having two sets of books, one for public display and one that is kept hidden away is a good example of a kind of empty shell of a leader, like a golfer who is inclined to write a wrong number on his or her card if nobody is keeping track. For an honest golfer, it is annoying to have another person checking to see that the right number of strokes has been recorded for each hole. This verification step signals a lack of overall trust, and it can lead to hard feelings. When leaders talk a good game, but really do not act in ways that are consistent with their words, there is a falsehood that is obvious to everyone. It is like we all have x-ray vision and can see inside the ball. One good example of this is when senior leaders have a value like, “People are our most important asset.” It sounds really good until you realize that the decisions made on a daily basis rarely reflect that as a reality. If it was so, then when times were tough, the senior leaders would scale back by selling off buildings and equipment and keeping people on the payroll. Instead, they do the opposite. People notice the hypocrisy quickly, so the value becomes something we say but not something we back up with actions. We may look good on the outside but we are missing an important layer inside. The analogy here may be kind of wild, but it is an interesting one because we rarely think of what is going on inside as being that important, but we sure would notice a difference on the links if we were using incorrectly fabricated golf balls. Likewise leaders need a firm foundation that is as true under the surface at it appears to observers. Incidentally, the golf ball in the picture is real, not Photo-shopped. I obtained it in the late 1970’s at the home of a relative who found the ball in his garden. 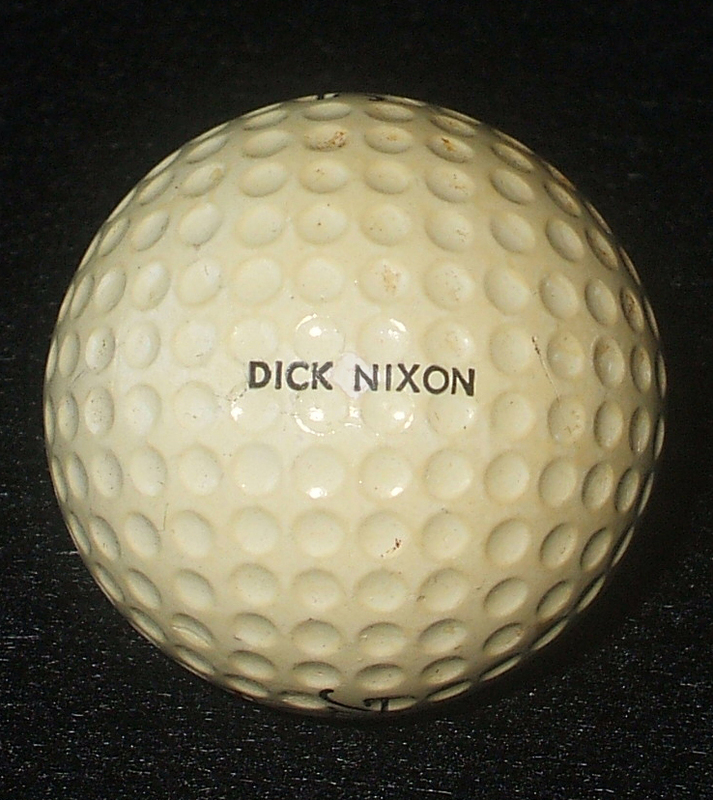 He lived next to a fairway on the golf course at San Clemente, California, where Nixon lived at that time. The ball is a “Titleist 4” and is identified “K2 Acushnet.” It is available, if anyone is interested.